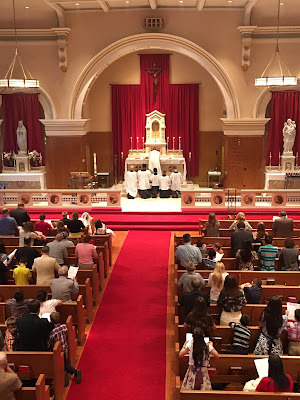 On September 6th, His Excellency Robert Morlino, Bishop of Madison, Wisconsin, while visiting his hometown of Scranton, Pennsylvania, celebrated a votive Mass of Saint Joseph according to the Divine Worship Missal (“Anglican Use”) at the local Ordinariate parish, Saint Thomas More. Afterwards, he delivered a talk “Liturgy as an Aid in Evangelization”, focusing on the beauty of the liturgy as a necessary tool for evangelization in our modern world. A recording of the talk has just been posted via the parish website. In his address, Bishop Morlino enlarged on his vision of the liturgically beautiful: beauty does not lie in the eye of the beholder; it is not a matter of majority opinion; that which is beautiful must also be true. 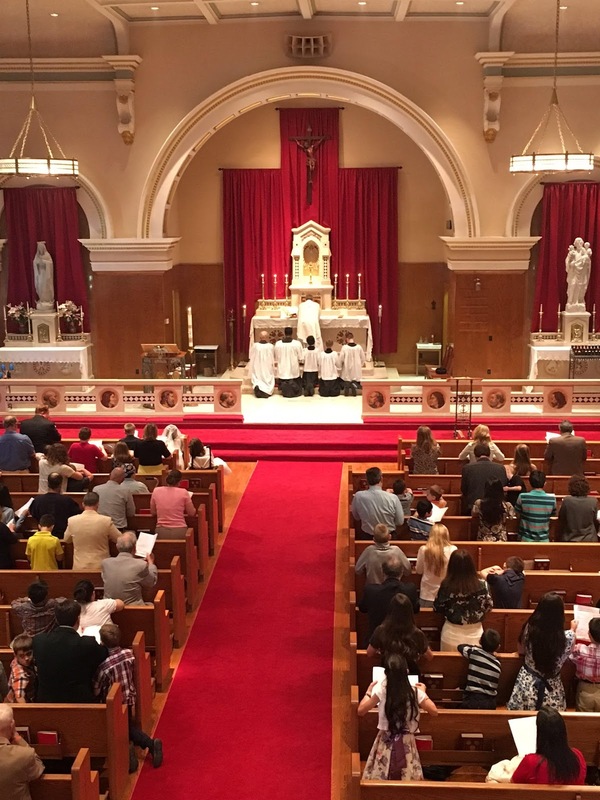 Our readers know that His Excellency has been strenuous in promoting sound liturgical practice in the diocese of Madison, following Cardinal Sarah’s call for greater use of ad orientem, and often celebrating Pontifical Mass in the Extraordinary Form. The language, including all the thee’s and thou’s, is beautiful and a reminder of our heritage. (Unlike the prescriptions of some present day liturgists, there is no attempt to debase the English language by subscribing to politically correct gender neutrality and inclusiveness.) There is also frequent and appropriate use of Latin, again as a reminder of the Church’s heritage from Rome. The music is without guitars and drums, using hymns from the English Hymnal compiled by Ralph Vaughan Williams. Communion is given on the tongue, kneeling at the altar rail, with the Host distributed by the priest with intinction in the Precious Blood. After this Mass, I feel that Bishop Morlino’s goal has been achieved: “[The Mass] must be nothing less than beautiful, reflecting the perfect beauty, unity, truth, and goodness of the object of our worship and adoration Themselves, the Father, the Son, and the Holy Spirit.” —Bishop Robert Morlino, Madison Catholic Herald, Oct. 20, 2011.